So last week I announced I was alive and then I died again...and by "died" I mean I have suffered from THEE WORST (going on twelve days) sinus infection EVER. Needless to say, I've had a lot of time to think about important things in life like stenciled painted floors. 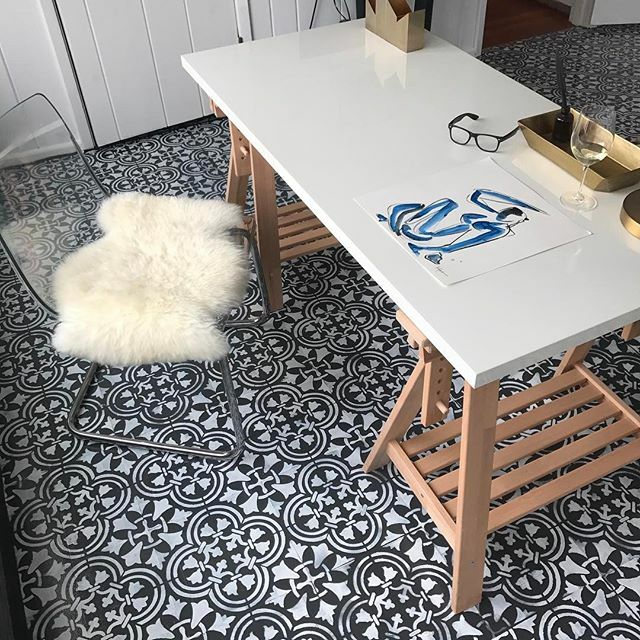 Now stenciling your floors isn't exactly a new concept, a matter of fact it dates back to the colonial days, but there's been a major re-emergence of this trend lately and I have to say I'm super duper hooked! Jo Jo, for this recent floor craze. 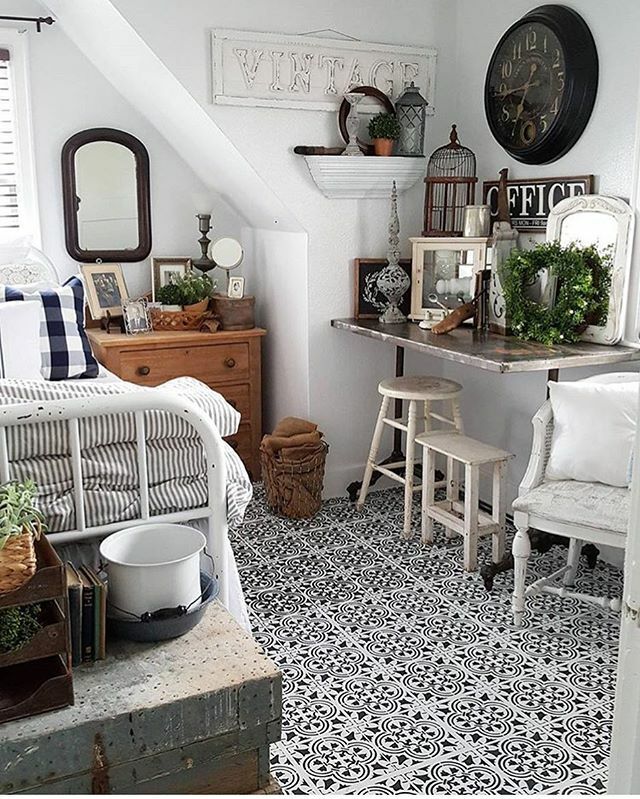 I noticed once she started utilizing cement tiles in her makeovers, similar to the ones used in the bathroom at the Magnolia Bed and Breakfast, it set the decor world a buzz. 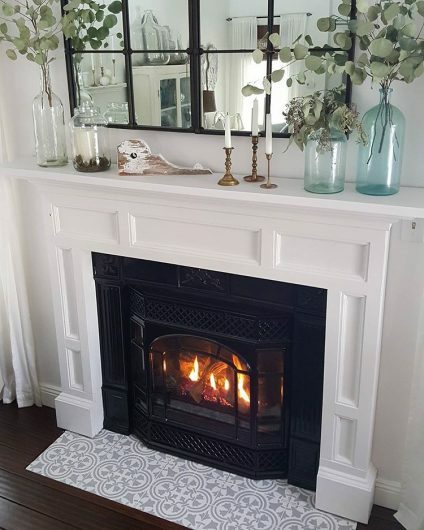 Graphic, Moroccan, Spanish; whatever you prefer to call these pretty tiles, people are loving them! So what's trending about this trend? Speaking of laundry rooms, these spaces along with bathrooms and mud rooms appear to be the most popular spot for this trend, which makes sense if you've ever stenciled before! 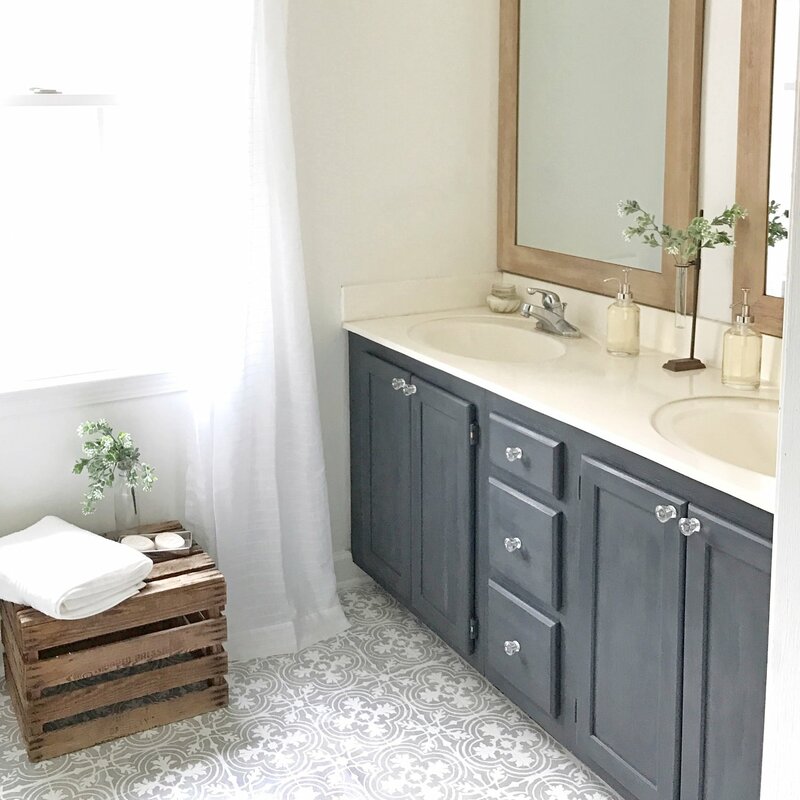 At some point on this blog, I'm pretty sure I deemed myself the worst stenciler in the history of stenciling, so if you're a newbie to the technique or just a DIY hazard, starting with a small space like a powder room may be your best bet in saving your sanity. Although some people, like the talented JoEllen from the @rusticfarmhouse, are really brave and do a full room. I mean c'mon, is this not the bee's knees?! and it turned out AUH-mazing! 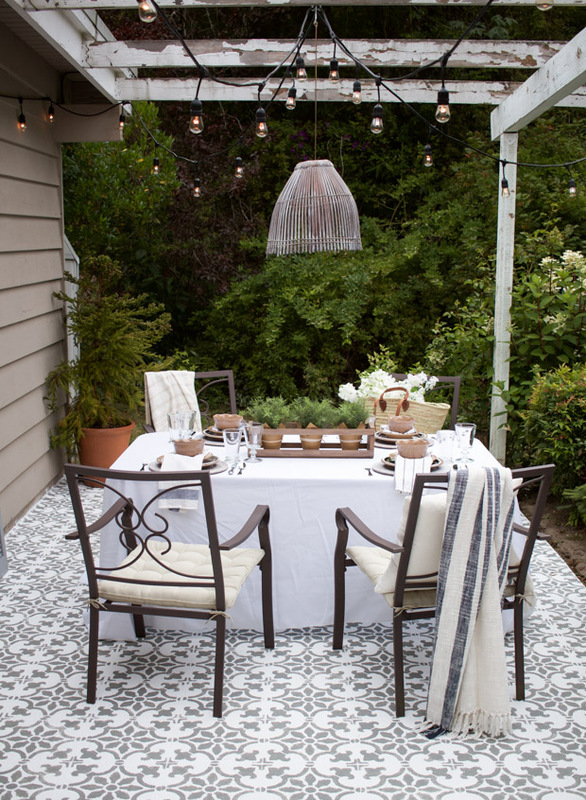 Color-wise, black and white and grey and white seem to be the prom king and queen of combos when it comes to stenciling floors. What do you think? Would you paint your floors?